Diversity remains high on the agenda for board level recruitment. However, the conversation has moved beyond that of debating why boards are comprised of directors who are simply ‘pale male and stale’! Since the launch of the Davies Report over five years ago, progress has been made on improving the numbers of women on boards, so much so, that we are now looking at how we can develop gender diversity at all leadership levels. 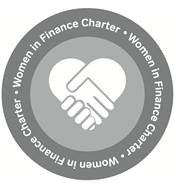 This is reflected in the number of organisations that are continuing to sign up to the Women in Finance Charter. Within the Building Society sector the number of female board members has increased but many of the appointments have been Non-Executive Directors. The lack of ethnic diversity is even more stark and some Chairman have shared that they are concerned that their boards are not reflective of many of the communities that the Societies are based within. The recent Parker Review estimates that to reach an ethnically diverse mix similar to that of the overall adult working population by 2021 (approximately 15%), just one in five new Board appointees would need to be a person of colour. By 2030, it is expected that the proportion will be closer to 20% of the total UK population and by 2051, it could be over 30%. In practice, considering typical board appointment cycles, that would mean that (on average) each company would need to appoint one minority director in the period to 2021. By comparison, at the time of its establishment, the target set out by the Davies Review necessitated (on average) one in three new director appointees to be female. Whilst this research did focus on the FTSE 100, its findings are highly relevant to the mutual sector and highlight a call to action. The biggest shift we have seen by boards is the recognition that diversity is multi-faceted. At The Miles Partnership, we view diversity in its broadest sense which is about being open minded to individuals from all backgrounds whether that be gender, ethnicity, social class, age, sexuality or disability. And of course, even if all these groups are represented we still need to think about diversity of thinking, behaviours and business experience to ensure we field the strongest candidates for the roles. From a Society perspective building diverse organisations requires a different outlook. It involves bringing people of different backgrounds, viewpoints and characteristics which will by default create a different dynamic when boards are used to recruiting for ‘fit’ (consciously or unconsciously). Creating diversity is certainly not a quick fix and forward-looking organisations and search firms continue to collaborate so that we can all make progress on an issue that not only makes business sense but also aligns to the values and ethos of mutuality. This guest blog was originally published as part of Associate Knowledge by BSA Associate, The Miles Partnership. Receive email alerts for Associate Knowledge by amending your preferences.